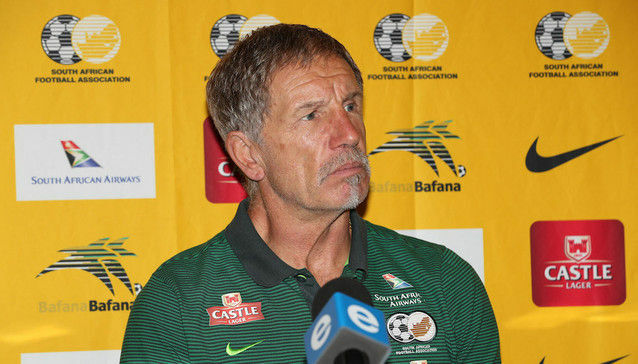 Bafana Bafana head coach Stuart Baxter has named a 34-man provisional squad for the upcoming 2018 COSAFA Cup. The tournament is set to start on 27 May and runs until 9 June in the province of Limpopo. The squad has the Egypt-based duo of Gift Links and Phakamani Mahlambi, Luther Singh (Portugal) and Lebo Mothiba (France). South Africa got a bye in the first round and will only join the action in the quarter-final stage when they face the winner of Group A on Saturday, 2 June 2018.